I was given the opportunity of a lifetime. For real! 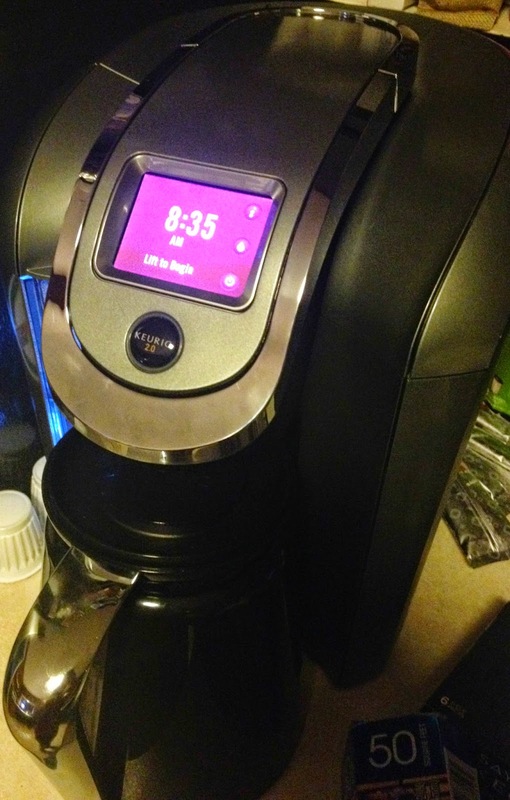 If you knew how much coffee my husband and I drink, you would know how much we love our Keurig. 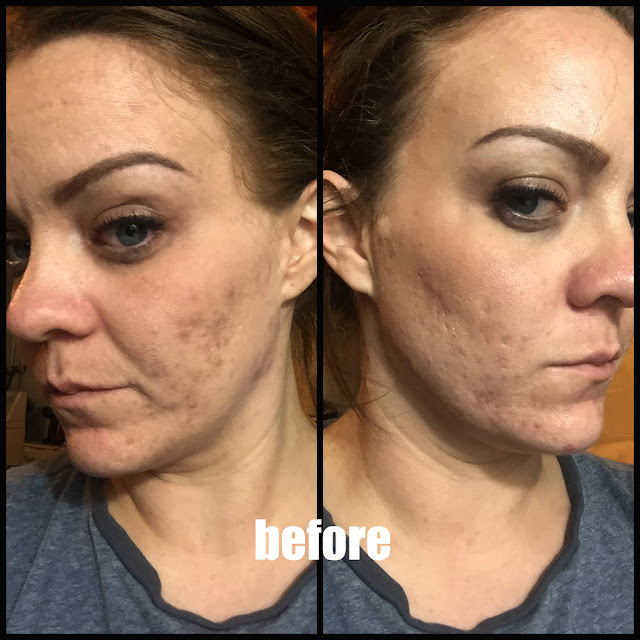 When Influenster sent me the email telling me that I was in to review this product, I was so pumped. 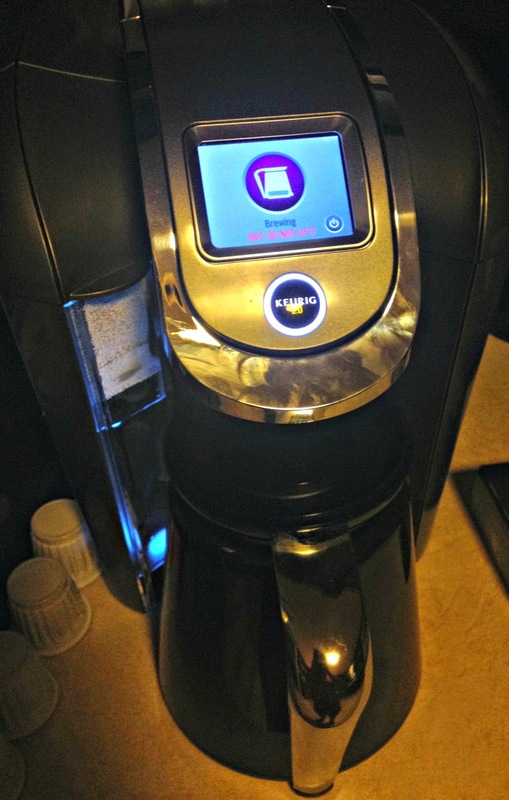 I immediately hopped on the webs to see what the **NEW** Keurig 2.0 had to offer. 1. Carafe. You can now brew more than 1 cup at a time. You can brew a full carafe. This allows me and hubby or me and guests to enjoy coffee. This was a huge downfall for me before. When we were entertaining, it was super frustrating to have a cup of coffee with dessert. We had to brew individual cups and it took forever. Well, now we just brew a carafe that holds 5 cups and that fixes that solution. 2. Digital Display. There is a touch screen display where you can choose your brewing options. I have the K500 model, so I have the most options. There are several other models, so they may not have the same options. You can choose all your settings from here including changing the colors of your reservoir, screen display, and other neat settings. 3. Flip top reservoir. So, I was excited about this because there was no more splashing water everywhere. It just poured right in the front. What I didn't like. Well, apparently from what I have read you can't use your old K-Cups in this machine. I tried it. Yes, you can use them, but it doesn't "read" them. The machine has a camera-like device that scans the new K-Cups to automatically adjust the brewing temperature and water to make it perfect for what you are brewing. So, for tea it will be different than what it would be for coffee.I didn't really notice a difference and I still had to pick the "other" option each time, so maybe a kink they need to work out? Also, there is an option to brew just hot water for tea. Well, this was a little fail because I had to brew it a couple times before I got a clean stream of water. It was a little brown from the coffee. The last downside about this is that it is larger than the older version. It takes up a little bit more counter space. So, if you have limited space to begin with, heads up- it takes up more!! Overall, I love this product. For just under $200.00, it's totally worth all the new techy gadgets and touch screen upgrades. My husband and I like too be in the now with technology so we just love this. I love the carafe feature and this is a huge plus for me since we are always entertaining. If this was the only upgrade, this would be a selling point for us. I also like that this machine is a little softer on the ears and definitely softer on the eyes. 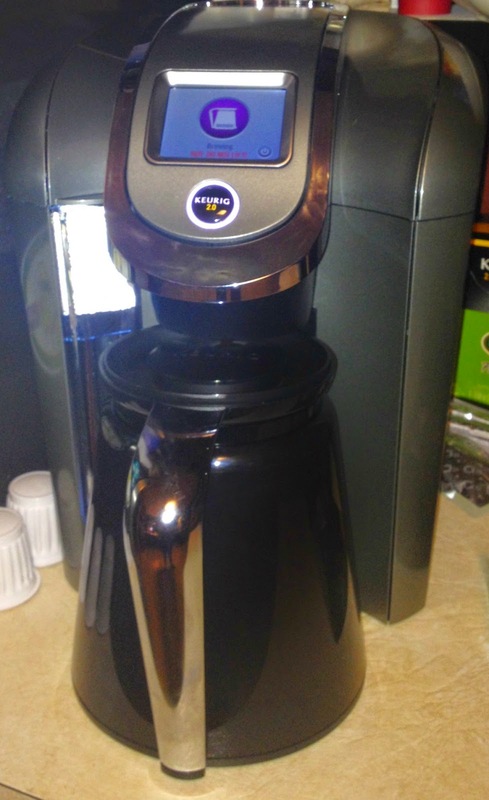 Home run Keurig! !